Pupils from a school of health sciences in Bursa (Turkey) visited Vytautas Magnus University’s Botanical Garden, where they had the opportunity to gain valuable practical knowledge. The pupils are participants of the Integrated Programme of English Language and Professional and Intercultural Skills (IPELPIS), which is being implemented by VMU in cooperation with the Cultural Centre of Tatars in Lithuania and the aforementioned Turkish school. The aim of the IPELPIS is to provide the pupils from Turkey with the opportunity to improve their English language, discover the possibilities of studies in Lithuania, and find out more about the activities of institutions working in healthcare, biotechnology, and biomedicine. 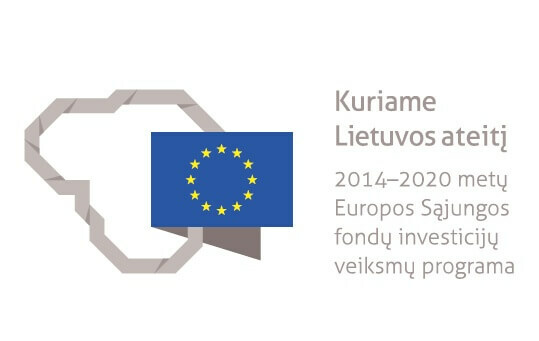 “The idea to implement this programme originated during the visit in Turkey, when a representative of the VMU International Cooperation Department and colleagues from other Lithuanian research and study institutions visited various general education schools and presented the opportunities of studies in our country. As a result of very high levels of interest shown by the pupils, and upon request of one of the schools, Vytautas Magnus University invited the schoolchildren to visit Lithuania”, Orinta Movsesjan, Chief Specialist of Marketing and Student Integration, explained. A group of thirteen pupils from Turkey is currently going to lectures and various introductory meetings in Lithuania. The pupils have already visited the VMU Botanical Garden’s sectors of the Collections of Pomology, Medicinal Plants, and Potherbs. They have been introduced to the activities conducted here and the diversity of the plants, and tasted the herb teas and berries themselves. The schoolchildren also took trips to the Lithuanian Museum of Medicine and Pharmacy and the Open Access Centre of Instrumental Analysis at the VMU Faculty of Natural Sciences. The Summer Internship Programme at VMU takes place from 10 July until 11 August. It is an 8 year old annual initiative whose aim is to create practical conditions for foreign youths to acquire professional skills of their own field, improve their English, learn some Lithuanian, and take a closer look at modern Lithuania. After successful internship and defense of the final project, the students are awarded 6 ECTS credits which can later be counted as part of a study programme in other study or research institutions around the world. The internship places are offered to the students based on their study field. The proposed internship is to be completed at VMU partner institutions, which retain close relations with the university. The list of partners that offer internships includes not only state institutions but also various non-governmental organizations. During the implementation of the programme, VMU cooperates closely with the Kaunas City Municipality and various museums and other organizations. Participants of the SIP programme are not required to speak Lithuanian or have Lithuanian origins: any and all students are welcome if they are interested in Lithuania and in the possibility of spending their summer effectively. The interns are first provided with introductory days, during which the students have the opportunity to attend lectures by university professors about the life in Lithuania, various day trips, and an exclusive cultural/introductory programme. On weekends, the students are invited to visit the capital city Vilnius, the Rumšiškės Folk Museum, and other locations in Lithuania. In 2017, the programme was joined by 20 students from Brazil, Hong Kong, China, Malaysia, Pakistan, Portugal, and Turkey. This summer, the participants of the internship coming from Hong Kong and Pakistan also contributed to the organization of Kvapų Naktis (Night of the Scents), an event of the VMU Botanical Garden.